Dr. Hanono grew up in Chula Vista and attended Hilltop High School. 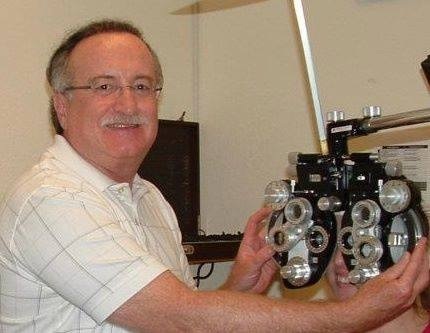 After graduating from Pacific University College of Optometry in 1979 he came back to the area and joined this practice which had been established in 1954 by the late Dr. Earl S. Foate. He is thankful to all his patients for their trust and for allowing him to take care of them and their families over the last 39 years. It is thanks to them that the practice has grown from a three room office to a nine room eye clinic with top of the line medical equipment. His passions include pediatric optometry, contact lenses, and the treatment of dry eye and eye diseases. Dr. Hanono loves Imperial Beach and looks forward to many more years of working and caring for his patients here. Dr. Hanono graduated from The Ohio State University College of Optometry in 2014 with honors from the Beta Sigma Kappa International Optometric Honor Society. His education emphasized specialty contact lenses and ocular disease. While pursuing his optometric degree he completed an externship alongside leaders in the field of specialty contact lenses at Case Western Reserve University Hospital as well as an ocular disease externship at the VA hospital in Cincinnati, Ohio. Dr. Hanono is eager to provide each and every patient with quality personal care and compassion, and surpass their expectations in regard to ocular care and management.